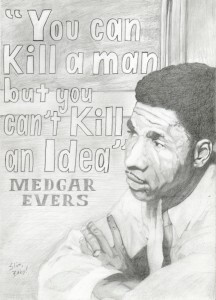 Today in history, Medgar Evers was born in Mississippi, Independence Day is celebrated in Bahia, Brazil, and free black man Denmark Vessey was executed in Charleston. This is Marc Steiner, and today is July the second. Welcome to This Day In History. That’s “Only a Pawn in their Game” by Bob Dylan, about the murder of Medgar Evers. 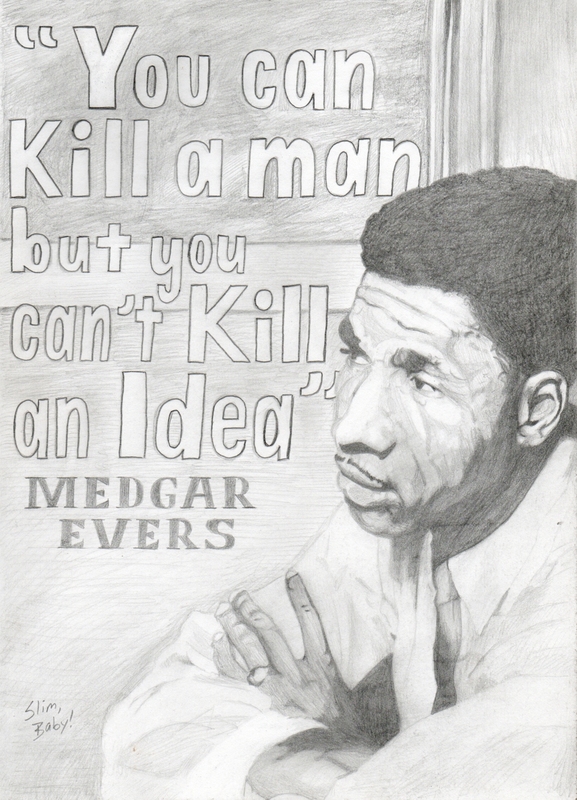 Medgar Evers was born on this day in 1925. Most Americans know the name, but don’t realize that this World War Ii combat veteran came home to Mississippi, became a leader in the battle for civil rights, head of Mississippi NAACP in 1954, applied to U Miss law school as a test case, and stood up fearlessly in the racial until he was cut by a bullet in his driveway as his family looked on in 1963, it wasn’t until 1994 that his killer was brought to justice. This is an important day in the history of the fight against slavery. In 1777, Vermont became the first American territory to abolish slavery. There was history of revolt among African descendants in Bahia, now a state in Brazil. Beginning in 1798 inspired by Haitians, Bahia’s revolted continually against enslavement and on this day in 1823 they defeated the Portuguese. So in Bahia July 2nd is Independence Day. Denmark Vessey was a free black man in Charleston who bought his freedom after winning the lottery. He was a leader of a planned uprising, where he and his followers were planning to kill slaveholders in Charleston, free the enslaved people they held, and sail to Haiti. An enslaved person terrified he might be connected to the revolt informed on Denmark Vessey was executed on this day in 1822 along with 35 others.. Vessey was also one of the founders of the AME Church in Charleston, which later became the Emanuel AME Church After the Vessey’s execution, the church was burnt down. And the church was the site of a racist massacre of 9 people just last month. And today in 1839, fifty three Africans led by Joseph Cinqué took over the slave ship Amistad, twenty miles off the coast of Cuba. As soon as he graduated from Harvard school of law in 1933 he began working at the NAACP, where he argued 32 cases before the Supreme Court winning 29 of them ,best known of coruse for Brown v the Board of Education. In 1963 Thurgood Marshalll was appointed to the US Court of Specil Appeals by President John F. Kennedy; and then in 1967 to the Supreme Court by President Lyndon B. Johnson where he served for until his retirement in 1991. And it’s the birthday of Patrice Lumumba born today in 1925, Lumumba was one fo the leaders of the Congolese independence movement, the first democratically elected Prime Minister of the Congo. who shortly after his election his government was deposed by rebel forces created and led by the United States and Belgium that murdered him executed in 1961. Here’s a song for your July the second. It’s by an artist from Cleveland, Ohio. She was raised by her mother, who bought her a ukulele when she was three, and by the age of eight she was playing guitar and writing songs. She went to college at Tufts University, where she started to gain attention for her busking and her gigs at coffeehouses around Boston. Her debut album was a huge commercial success, and a bit of an anomaly. It was an unapologetically leftist record and dealt with topics like domestic violence, poverty, racism, and homelessness. The artists is Tracy Chapman, and the song is Talkin’ Bout a Revolution, from her self-titled debut album, which hit number one on this day in 1988.